Mario Badescu Neige Care O3 Magnetic Facial Device decomposes oxygen in the air and obtains O3. O3 has a strong sterilizing effect on germs and bacteria.It reduces inflammation and balances the pH value of your skin to prevent acnes. 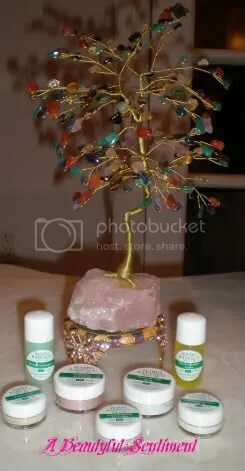 It also provides deep skin cleansing and oxygenates for revitalization. Who knew that Mario Badescu made such cool skincare gadgets? I don’t believe that these are marketed to the MB’s US audience although I really don’t see why not since the Neige Care O3 Magnetic Facial Device looks to be an affordable alternative to the Zeno. I really wish cosmetics companies would give us as many cool products as the Asian shoppers seem to get! There isn’t much of a description as to what exactly this is, but I’m assuming it’s not the glorified electric razor that it looks to be! All those little buttons sure do look complicated though. 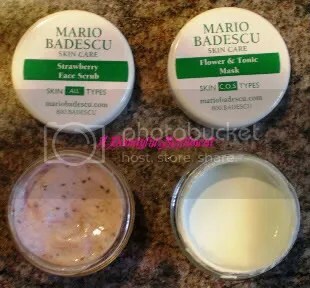 As promised, here’s my review of the Mario Badescu skincare samples I received last week! Enzyme Cleansing Gel: This cleansing gel has a consistency similar to that of Cetaphil. It’s a bit watery, not oily at all, and feels pretty nice on the skin. This didn’t irritate my skin at all, as the formula is very gentle, but I also felt that it didn’t do much in the way of removing my make-up or giving my face a deep clean. After using this, I followed up with their toner and found that I still had remnants of foundation, mascara, eyeliner, and other pore-clogging nasties on my face. I tend to gravitate towards more emollient cleansers, as they’re easier to work into the skin to break down every last bit of makeup and to give your pores a deep clean, so this was a no go for me. But if you tend to have sensitive skin that’s easily irritated, this might be a good choice. 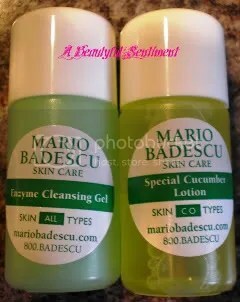 Special Cucumber Lotion: Mario Badescu recommends this toner for use by people with combination or oily skin, but I think it’s better suited for people with oily or acne-prone skin. I have oily skin with lots of dry patches, and found this toner to be just a tad drying. I really liked how squeaky clean my face felt after using this with Cle de Peau’s cotton pads, but the next morning my face, albeit not tight and uncomfortable, felt like it was lacking sufficient moisture. I may give this another try though as overall I did like it! Collagen Moisturizer SPF 15: This is recommended for combination and sensitive skin types, and I have to say that it is very gentle. A LOT of lotions give me hives, make me break out, cause itching, or just result in general irritation (blotchy redness, etc-it’s not attractive! ), but this hasn’t done any of that! It’s a really good moisturizer if you skin is a bit on the dry side, but I found it to be a bit greasy for my taste . I’m not talking break-out causing greasy; more like the kind of greasy that makes your face look oily after an hour or two and causes your foundation to slide around. I might save this for the winter when my skin will soak up that greasiness like a dry sponge! 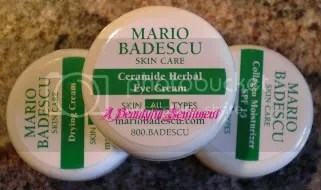 Ceramide Herbal Eye Cream: Eye creams are more a preventative than a corrective measure for me, so I can’t speak as to the wrinkle-reducing abilities of this eye cream, but it is very moisturizing! It feels quite heavy on, great if your under-eye area is super dry, but even then this is one of those creams that might cause pesky milia! I’d avoid this during the day as it doesn’t absorb too well and just sits on your under-eye area, and would reserve this as a night treatment. I like that it does moisturize my eye area which has been feeling a bit dry lately, so will continue using this on and off, but much prefer my other eye creams! Drying Cream: I don’t have too big an issue with breakouts, but right after I received this I noticed one or two small red bumps so immediately applies this, and woke up to find them gone! Definitely a keeper in my book! Flower & Tonic Mask: I really really wanted to like this, as I tend to love clay-type masks, but this was the only product that I actually felt hurt my skin. It reminded me of a super-runny Queen Helene Mint Julep mask (which irritates my skin sometimes, works great others!) so I had high hopes for it, and initially everything seemed to be going great. It was kind of runny for my liking, but once on didn’t sting or burn my skin like the Queen Helene one does occasionally, and washed off easily. But when I touched my face after washing off the mask, it was like attempting to run my hand up and down a giant piece of slightly sticky rubber! I’m not a fan of the wax face feeling, and this made my skin red, dry, and irritated so I don’t think I’ll be using this again. Strawberry Face Scrub: This contains strawberry seeds as an exfoliant, which is always fun! It’s great for a middle-of-the-week touch up, but not what you’re looking for if you want a scrub that will give your pores a deep clean (i.e. if you have problems with blackheads). The strawberry seeds are rather abrasive in my opinion, but not fine enough to really be effective, plus there are only like 10 in the whole container, meaning it’s more mask than scrub. Also, the cloyingly sweet smell was too much for me. 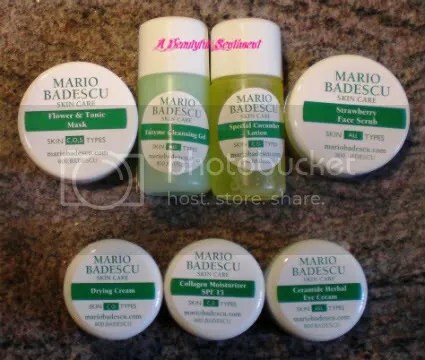 Now I know that I’ve been pretty hard on the Mario Badescu products, and it’s not because I think this skincare line is horrible! Overall I was pretty pleased with their product line, but I just wasn’t blown away. I guess I was expecting amazing or at least great, and that wasn’t what I got. It may be that these products weren’t right for my skin and that Mario Bedescu’s other products may work better for me, but for now I think I’ll be sticking to my normal skincare regimen. Find out how to get your own personal product recommendations and free Mario Badescu skincare samples here.